On Thursday, March 24, the Postal Regulatory Commission (PRC) posted their Advisory Opinion to the United States Postal Service on the Reduction of Mail Service from six to five days (PRC Docket No. N2010-1). The Advisory Opinion notes that U.S.P.S. projected cost savings were actually overstated by $1.0 billion, that their net revenue losses were underreported by about $0.2 billion, and that the U.S.P.S neglected to evaluate the impact that the proposal would have on customers who reside or conduct business in rural, remote or non-contiguous areas. “The National Grange applauds the PRC for recognizing the unique and critical impact that the elimination of Saturday mail service would have on rural Americans. No one is feeling the pinch of the economic downtown more than folks in our rural, ranching and farming communities and few other populations depend so heavily on rural mail service for anything from billing and news, to prescription medications. Although the broadband build-out is making steady progress in reaching rural customers, high-speed internet is not available or affordable in many rural areas that currently depend heavily on the United States Postal Service,” said Nicole Palya Wood, Legislative Director of the National Grange. “For the U.S.P.S to offer this proposal without even researching how rural populations are affected, is negligent. The farmers, rural families and communities we represent hope that this recommendation to Congress will be looked at more closely and that any Congressional action is based on research that takes all communities into consideration, rather than just those in suburbs and urban areas,” continued Wood. National Grange President, Ed Luttrell testified before the Postal Regulatory Commission on September 16, 2010 in opposition to the reduction of six-day mail service. The Grange, founded in 1867 to help Civil War ravaged farmers recover, has today evolved to being our nation’s leading rural advocacy organization, a major benefactor to local communities and, in many instances, the local social center with a safe, family-friendly atmosphere. It currently stands as the nation’s oldest rural advocacy organization. 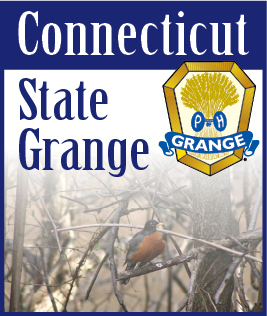 The Grange has over 200,000 members in 2,700 communities spread over 40 states. In short, the Grange provides opportunities for individuals and families to develop to their highest potential in order to build stronger communities and states, as well as a stronger nation. Top national priorities are published in the Grange’s annual Blueprint for Rural America.